Electricity is a vital part of modern living, powering everything from your laptop to your washing machine. However, it can also be dangerous. Faulty outlets or wiring can cause electric shocks, burns, and even fires. That’s why it’s essential to recognize when your home needs electric repairs. S&E Electric in Tacoma, WA, has served the Greater Seattle area for over 40 years. These expert electricians say damaged electrical outlets can pose a serious threat to your safety and your home. Here, they explain four key signs your electrical outlets need to be replaced. If an outlet produces electric shocks, the problem may be the wiring, the outlet itself, or an appliance in use. Unplug the device and see if the outlet still produces electric shocks. If it does, hire an electrician to inspect the wiring. If the plastic around the outlet feels hot, is charred, or smells like it’s burning, you have a serious problem. Deterioration of the wire terminals or internal contacts can cause overheating. Eventually, they may melt and cause sparks or an electrical fire. Turn off the circuit breaker and call an electric repair specialist right away. Ungrounded outlets — the type with two slots — are not as safe as the new, three-slot grounded type. Replacing an ungrounded outlet with a grounded one won’t suffice. You’ll either need to install a ground fault circuit interrupter outlet or, better yet, hire an electrician to upgrade the outlets. You already know moisture and electricity don’t mix. If the outlet is damp, turn off the circuit breaker and call an electrician right away. If you don’t already have one, install a ground fault circuit interrupter for outlets in any areas of the house where you use water, including the kitchen, laundry room, and bathrooms. 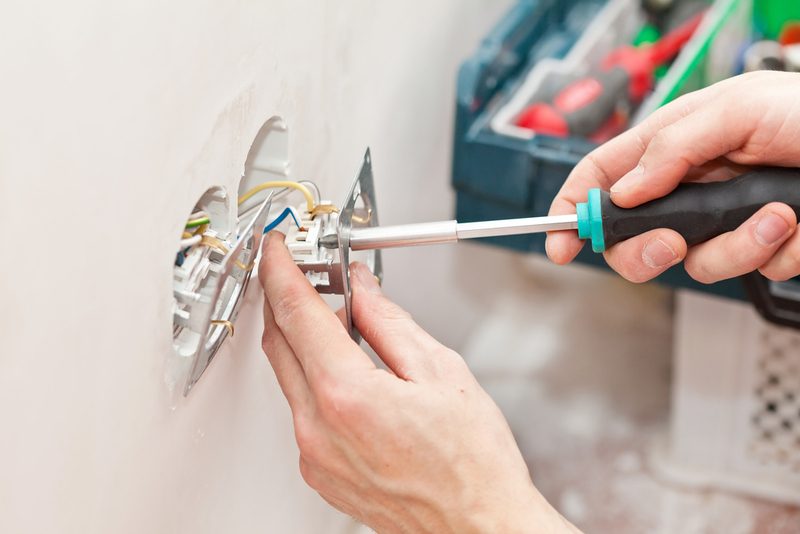 For experienced, dependable electric repairs in Pierce County, contact the electricians at S&E Electric. Call (253) 272-5813 to speak with a staff member, or visit their website for more information. A. S & E Electric, Inc.